Degenerates. That’s another term he used for them. He knew plenty of degenerates in New York — Brooklyn in particular. If he had to live on the East Coast, he told me, it would be in Brooklyn, not in D.C. I knew what he meant by weird people. He didn’t mean weird in the traditional sense. He meant hipsters – creative, underachieving hipsters like himself. People who shared his bohemian approach to life. People not driven by money or material, but by the journey. The journey into the self where there’s a chance to realize one’s own potential. There’s also the chance to drown yourself in narcissism, secret obsessions about your art – your success or fame or whatever else you’re after. But when you look closely at these two types of people, the weird and the not-weird, they’re both after the same thing. Because I’ve met plenty of weird people in D.C. Take this “super commuter” I spoke with when I was finishing up journalism school at Maryland. If you’ve spent any time in D.C., you’ve noticed that people like to talk, or brag, about their commutes, about the Metro, 495, 270, buses and bike lanes. The shorter a person’s commute, the less toll it has on one’s life; the prouder they are to broadcast it. Because the better the commute, the better the existence. Better than yours. Then there’s this whole other breed, these people called super commuters –zealots who take pride their own unique existence, much like the hipsters. Masochists, really. They’re better than you because they endure things you could never imagine. And it’s all for money. True laborers. As a 22-year-old intern at the Gazette in Prince George’s County, I was assigned to write a series on traffic and commuting in the D.C. area. I interviewed traffic reporters, tow-truck drivers, and national infrastructure experts, but the interview that stands out the most, the one I remember years later, is an interview I conducted on a bus in West Virginia at about 5 o’clock in the morning. This man commuted back and forth to D.C. every day from Martinsburg, West Virginia, which is about 40 miles west of Frederick, past Harper’s Ferry and Charles Town. 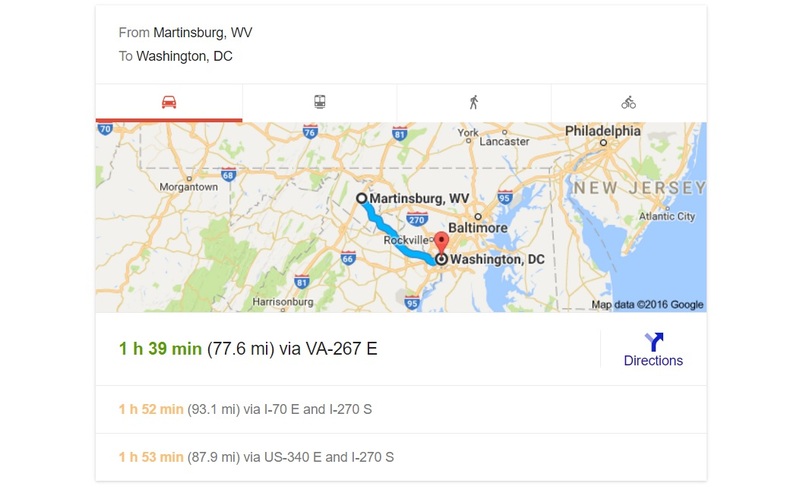 I can’t remember the door-to-door total he spent commuting each trip, but between the bus from Martinsburg to Shady Grove Metro Station and the train ride into the city, it was an asinine amount of time. An absolutely mind-boggling amount of time. Almost two hours each way, so we’re talking 12-hour work days that begin at 4 a.m. and end at 7 or 8 p.m. A sick man. Not enough weird people in D.C.? There are plenty of weird people in D.C.